Should I break my mortgage? *Please don't hesitate to contact me by phone (778-990-8950) if you have any questions about the application form. The most important factor you should consider when it comes to choosing a mortgage is total mortgage cost. This is why I provide recommendations for your specific needs, using the mortgage features present in our mortgage. We will not only find you the lowest rates, but I will also make sure you get features and options that work for you! You will always get my expert advice and help whenever you need. Most brokers and bank representatives are transaction based and you generally will not hear from your broker or banker after your mortgage funds. We are here for you before and after your mortgage funds, whether it is to answer any questions, help with problems and find solutions to your needs. We also actively manage your mortgage through our Annual Mortgage Review and help with any issues or opportunities that may arise. Your mortgage is placed with one of the large Canadian banks. You will be able to go to a bank branch and speak to a representative in person. Your mortgage is placed with a Monoline lender. Monoline lenders are supported by the big banks and focus solely on mortgages. They follow the same rules and regulations that Canadian banks do. Monoline lenders allow me to be your account representative. You have access to your mortgage online or over the phone. If you are moving into a new home and you want to take your mortgage with you when you move, the “portable” option let you do that. This option allows you to continue on with the low rate you may currently have or avoid paying penalties if you were to break your mortgage. Your mortgage may be assumable by another borrower if you were to sell your home. What happens if you have a fantastic interest rate, you are moving, and you don’t want to take your mortgage with you? An Assumable Mortgage allows the buyer of your home to take over your mortgage, provided that they can be approved for the mortgage by your lender. 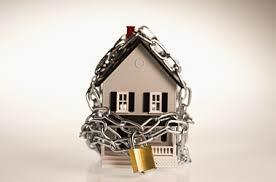 Having a buyer assume your mortgage allows you not to pay any mortgage penalties. You may convert your variable mortgage into a new fixed-rate mortgage during your term. Allows for the Home Improvement Plan Mortgage. For more information on the HIP Mortgage, go to the HIP Mortgage page. You may skip a payment if required. The lender may provide you with an increase in your mortgage and blend your current rate with a new rate. The new blended rate will be a weighted average of your current rate and the lender’s mortgage rate for a term equal to how long is left on your current mortgage. Your approval will be based on the Bank of Canada qualification rate. Lender will provide you with a brand new increased term and “blend” in your current rate and new rate. There are no out of pocket expenses in this route. Your approval will be based on the new term’s interest rate. The lender will allow you to get more than one “segment” for your mortgage. This will allow you to take advantage of having different mortgage types, terms and rates, all under one collateral mortgage. You will be able to apply for a Home Equity Line of Credit in the future. You will not have to reregister your mortgage with a solicitor or notary. Your mortgage comes with an included Home Equity Line of Credit. The most important features you can have for your mortgage are pre-payment options. The prepayment option on your mortgage directly correlate to your Mortgage Optimization Strategies which allow you to pay off your mortgage sooner, saving your thousands of dollars over the life of your mortgage. All prepayments go directly to the principal balance owing on your mortgage. Although all financial institutions offer some form of prepayment privilege, the amount and how it can be applied varies from one to another. The most restrictive lenders only allow you to pre-pay up to 10% of your original balance, once per year, and only on the anniversary date of your mortgage. Other lenders offer pre-payments as high as 20% per year, in any increment (over $100) and as many times as you want as long as the total prepayment does not exceed 20% of the original outstanding balance per year. Most lenders allow you to increase your scheduled (weekly, bi-weekly, semi-monthly or monthly) payment. This is either done through an increase of your payment by 10-20% or by doubling your payment or both. Any increase in payment goes directly to pay down your mortgage, saving you thousands down the road. Check out my Mortgage Calculator and test out how increasing your monthly payment will affect your overall interest costs over the life of your mortgage. Want to run some specific scenarios? Give me a call and we will walk you through it. On any regular payment date, you can double-up your payment of principal and interest. The full amount of extra payment is applied directly to the principal of your mortgage. Do you want to pay your mortgage every month? Or do you want want to pay your mortgage every two weeks just after you get paid from work? Lenders allow for weekly (weekly – 52 payments), bi-weekly (every two weeks – 26 payments), semi-monthly (on the 1st and 15th of every month – 24 payments) and monthly (monthly – 12 payments). You are free to choose and switch between payment frequency before and during your mortgage term. I generally advise clients to choose whatever payment type they find most comfortable to them. You notice that there is very little difference to how much interest you pay between payment frequencies. However, some banks will advertise “Accelerated” payments as a means of paying off your mortgage faster. Accelerated Payments are 26 bi-weekly payments, having payments match each regular semi-monthly payment. This means that you will pay one more month’s payment over the course of your mortgage. Although this strategy is usefully, we find that it does not go far enough. Your Personalized Mortgage Strategies will be more effective that an Accelerated Payment. Make sure your mortgage has options that will protect you in case of life changes. In many cases, changing aspects of your mortgage will require you to cancel your mortgage, costing you many thousands of dollars. When breaking your mortgage contract early, you will have to pay your lender the prepayment penalty. Fixed-rate mortgage holders pay the greater of the interest rate differential (IRD) or 3-months interest. The bank IRD penalty uses the bank’s posted rate and the discount that was provided to you at the time of your mortgage. Typical bank IRD penalties are about 4% of the outstanding mortgage amount. Your mortgage pre-payment penalty is based on your rate minus a current rate your lender has for a term matching the time you have left remaining on your mortgage. Typical low IRD penalties are about 1% of the outstanding mortgage amount. Variable mortgage pre-payment penalties are 3 times your current monthly interest payment. Your mortgage may have a restriction that is unique. Some of these restrictions contain no porting clauses, the inability refinance or refinance with a new lender during your term. Pinsky Mortgages is one of Vancouver BC’s top rated mortgage brokers. We are here to help you learn more about the mortgage process & how to find the best mortgage solution for you!